Baler is a nice surf town that lives quite true to the chill surfing lifestyle. It's a quick escape from Manila if you only have a weekend to spare. Plus, getting there isn't actually difficult in terms of transportation. It is only the distance that may test your patience. But if you're up for the 6-hour bus ride challenge, you'll definitely be rewarded with a quick weekend getaway. 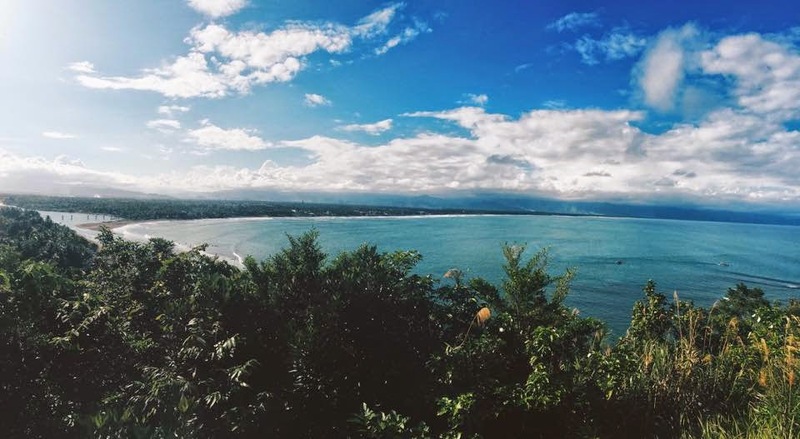 Some of my friends have been asking me about going to Baler and I thought I'd share the answers with you as well. A fair warning, though, that I didn't take that much photos during my last trip because I didn't initially intend on blogging about it, so I can't share with you how the place we stayed at looks like, the food, etc. :( I'm not a travel expert, but hopefully, you'll still find these suggestions helpful! Going to Baler is easy. You can take a bus to Baler at the Genesis bus terminal in Cubao. You have two choices: the regular Genesis bus (PhP450), which takes about 6 hours, with stopovers, or the Genesis Joybus (PhP650), which takes about 4 hours going directly to Baler without stopovers. We decided to take the Genesis bus going to Baler because we weren't in a rush to get there. We had room reservations, but we wouldn't be able to get the rooms anyway until at least 10AM. Going back, we took the Genesis Joybus because we wanted to cut down on travel time and be back in Manila and get some rest in before the weekend ends. If you wish to do the same, you can only book the Genesis Joybus back to Manila at the Baler bus terminal as you arrive. The buses have a schedule which you can view here. There are a lot of accommodations in Baler, especially close to Sabang beach where all the surfing happens. Beachfront accommodations start from PhP2,500/night for 2 persons, based on my research. However, if you choose those just right behind the beachfront ones, you can get some for below PhP2,000. We had a room for 2 at Casitas Bed & Breakfast for PhP1,800. It came with free breakfast buffet at Bay's Inn, too! I believe Bay's Inn and Casitas B&B have the same owner. The room was, however, small. It is literally a bed, a TV, and an A/C when you enter. It also has a restroom. But if you think about it (at least, this is how I always look at it when I'm searching for accommodations when I'm going to a beach), I'm never really inside the room. I only go there to sleep. Most of my day is spent outside, frolicking under the sun! Plus, PhP1,800 WITH buffet breakfast? Sold. You can inquire about Casitas Bed & Breakfast at 0928-322-2218. I can't say I took down notes of the meals we had, but I would peg it at an average of PhP350/meal. We usually got food to-share as well, so the bill is split between everyone (there were 4 of us). And since our we had the breakfast buffet from our accommodation, I only spent for brunch and dinner on Saturday. Our bus back to Manila was at 12NN, so we were still pretty full from the buffet that we waited until we got back home to eat. 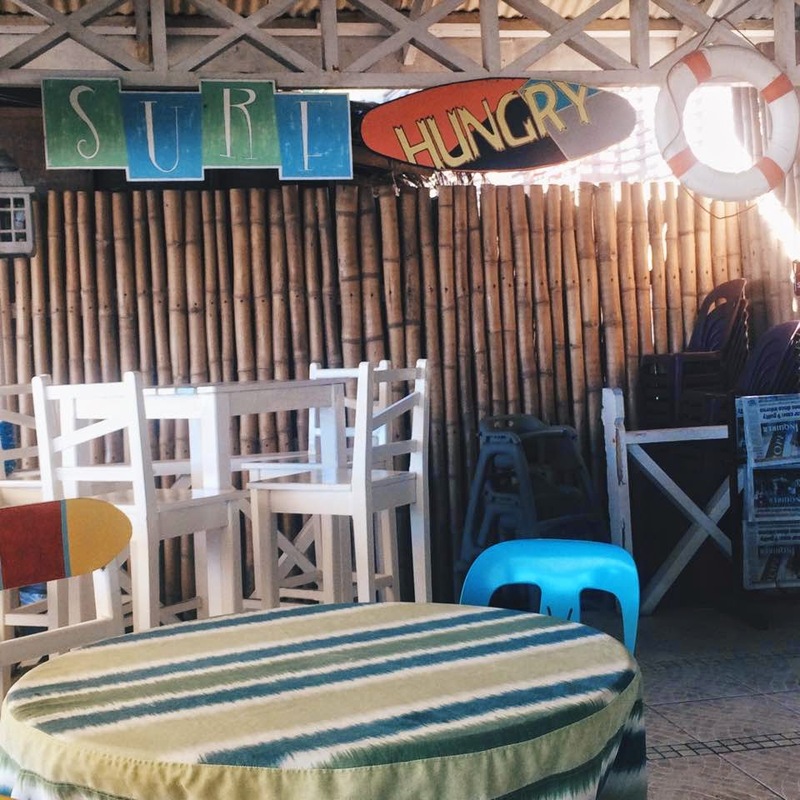 Suggestions on where to eat: Yellowfin, Bay's Inn, and Baler Surfer Grill (must-try!). In Baler, their tricycle drivers are accredited by their tourism board to conduct tours for PhP800 (per tricycle, 3-4 persons). It would be advisable to get an early lunch in on a Saturday and start your tour right after so you can have more time at each destination. This time around, we only managed to go to three places because we started at 3PM: Ermita Hills, Diguisit Beach, and Lukso-Lukso Islet. The quick tour cost us PhP600 instead. And, of course, the surf lessons. From what I've seen, it's PhP350 for an hour of surf lessons, with a board and instructor. However, we managed to make connections and got our lessons for only PhP300 at Mahusay surf school. Of course, you can still lower the expenses depending on food, accommodation, and if you take the regular Genesis bus going back to Manila. But to be honest with you, it really doesn't cost much to go to Baler. :) I hope this helps! I have been to Baler quite a few times before. It's just one of those places you don't mind going back to! Give it a shot and let me know of your adventures there!